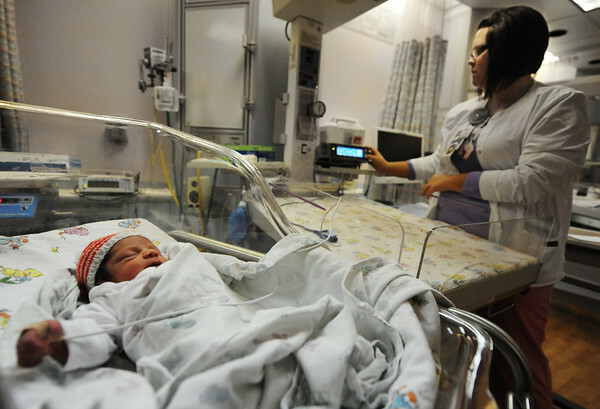 Registered nurse Hannah Houdyshell hooks up the Jimenez baby boy, who had not yet been named, of Vernona, for a screening for potential heart defects Monday morning, Dec. 30, 2013. Young Jimenez was born Dec. 29. The heart monitor in the upper left of the photo is attached to the baby's right hand.